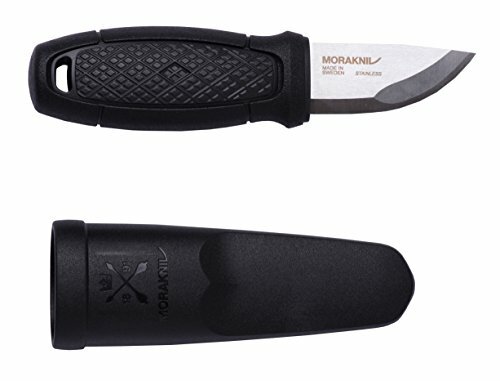 The Morakniv Eldris is an award winning fixed-blade stainless steel knife that is small enough to fit in a pocket and safe enough to be worn around the neck. The Eldris was unanimously chosen by an international jury of outdoor-journalist judges for the prestigious Scandinavian Outdoor Award in the Hardware category. The award is given to products based on functionality, quality, design, and sustainability. The Eldris was chosen for its innovative design, balance and durability. 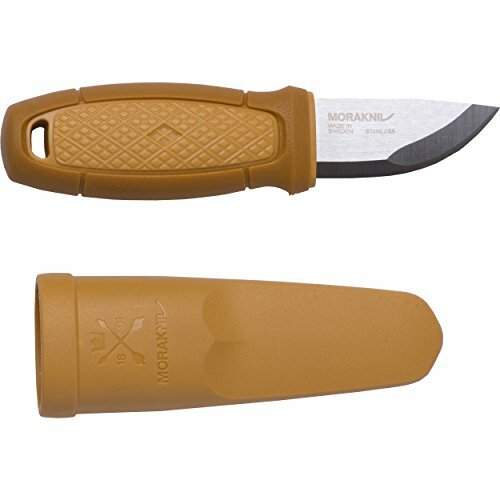 The blade of the Morakniv Eldris is top grade Swedish Sandvik 12C27 stainless steel that features excellent edge performance, razor sharpness, high hardness, and exceptional corrosion resistance. 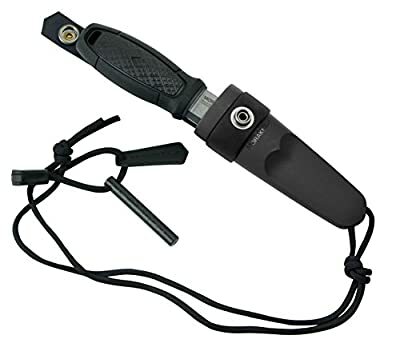 It features a square-ground spine that can be used as a striker with a firesteel. Stainless steel knives are less susceptible to corrosion and oxidization than carbon steels, giving them a longer life overall, plus they maintain edge sharpness for optimum cutting performance. Two different polymers and an ergonomic shape make the handle of the Morakniv Eldris durable and easy to hold. A built-in click lock between the sheath and handle ensures the Eldris stays safely in place when worn around the neck. 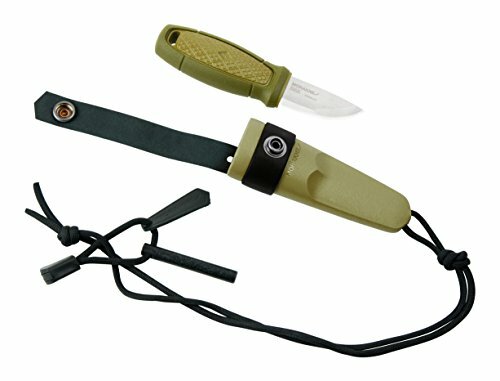 Its small size and safe handling make Eldris a perfect choice for knife users of all experience levels. 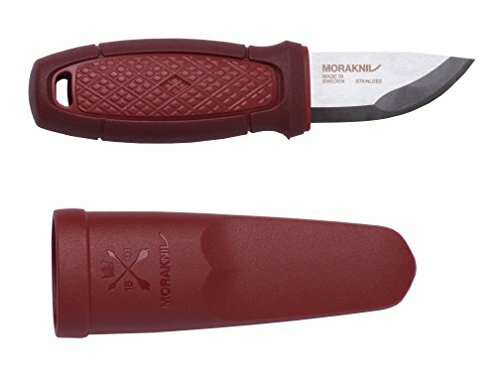 Dimensions: total length: 5.6 inches (143cm); blade length: 2.2 inches (56mm); blade thickness: 0.8 inches (2mm); weight: 2.8oz (80g). Made in Sweden. 1-year warranty.